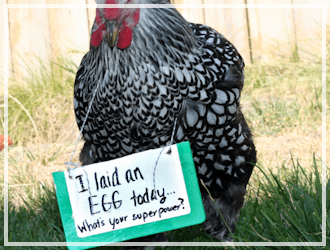 You are here: Home / Homesteading / Can you FREEZE Eggs? Yes, and it can save you money! The question of the day is — Can you freeze eggs? Yes you can! And they taste darn near the same after they have thawed too. You can fry them, bake with them or add them to casseroles or other recipes even after they have been frozen and thawed. 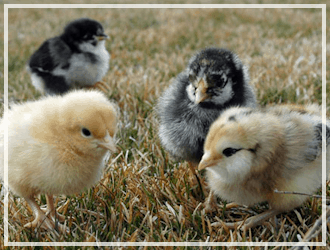 As many of you know I have 4 dear little backyard chickens in my suburban backyard. I usually get 3-4 eggs every day. Some weeks that many eggs for my family is not enough and I have to supplement by buying more at the store. But other times when we haven’t been using them as much they can collect rather quickly and fill all my containers. I often will give the extras away and never seem to have anyone turn them away. 🙂 But if I want to save money I know I can freeze the eggs to use later. This is a fantastic way to stock up on eggs when they are on sale, or a great idea to use them up when you have a lot about to expire too. When you see those sales on eggs..have no fear. Now you can go crazy. So easy AND practical! Doing this can save you money. I like to crack the eggs into a muffin tin, plastic egg crate or even ice cube trays. You just crack the eggs in without using any kind of spray or oils. 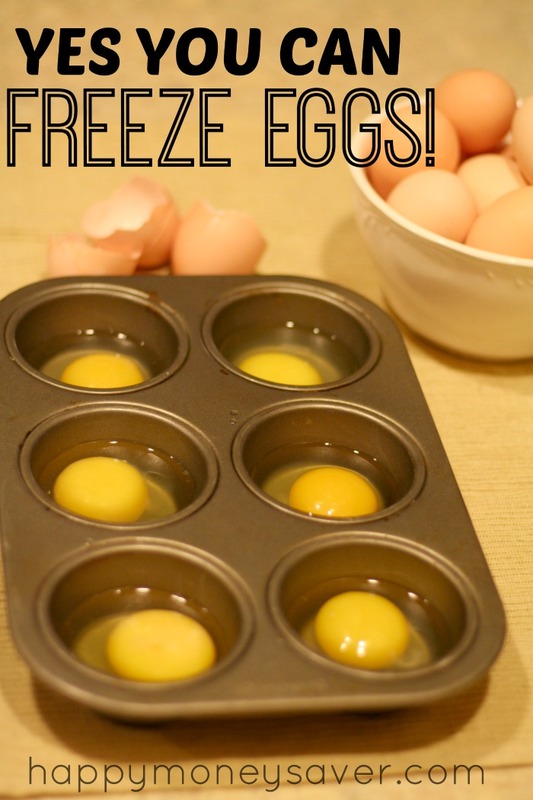 Then place the tray into the freezer and freeze until the eggs are frozen solid. Once they are frozen you can remove the eggs from the container. 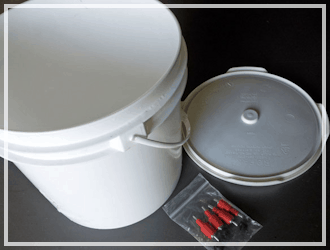 If they are stuck tight just have the container sit in some warm water for a minute and they should pop right out. Then add them to a gallon sized freezer safe bag. They keep frozen for up to a year! When you are ready to use them just take out the number of eggs needed and allow to thaw at room temperature. You can use them with any recipe that requires a whole egg such as baking, breading chicken, scrambled eggs, french toast, etc. One thing I will tell you though is that is becomes really difficult to separate eggs once they have been frozen. So if you think your recipes will require only egg whites or egg yolks then consider freezing them already separated. 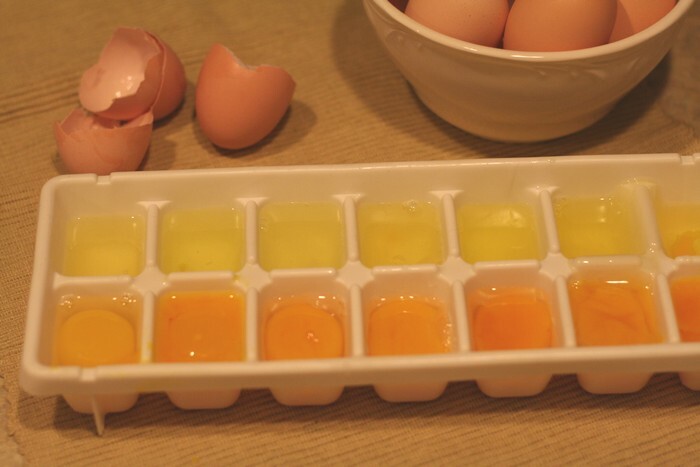 You can crack your egg and separate the white into one ice cube spot and the yolk in another spot. Then after they are frozen add them to separate freezer safe bags. So in conclusion..to answer this question “Can you Freeze Eggs?” The answer is YES, YES YES! Please do. It’s so easy it should be a crime. Ive frozen beaten eggs before, but always with salt or sugar. This makes it tough sometimes when i don’t want added salt or sugar in my dish. I see that you are freezing right out of the shell. Everything else I’ve come across says to do it with beaten eggs adding either salt or sugar. I believe I read all the comments and didn’t see an answer to my specific question. If I missed it, I’m sorry to bother you. Also, I’m so glad I’ve found your site. Can’t wait to explore it further. Thanks so much. @Sandi My mother can no longer go to the store herself so I do it for her and I get her several half gallon jugs of milk which she puts in her deep freezer unopened. She thaws it in the refrigerator or sits it in the sink then shakes it well before opening. The jug does expand and looks like it will explode but she has never had a problem with it. 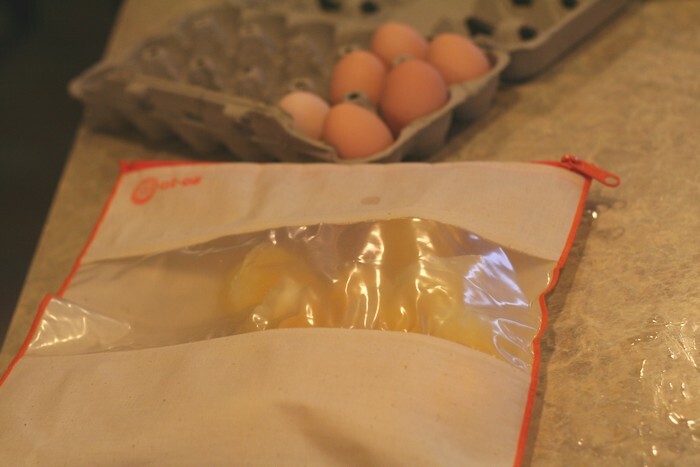 Whenever I have a glut of eggs, I freeze them in lock up bags in batches of 6. I beat them lightly and add a pinch of salt. I use them for baking or omelettes; they are absolutely perfect for that; I always give them through the electric blender before using them. Never had a problem. However, this year, I want to skip the freezer , in order not to have to rely on electricity. 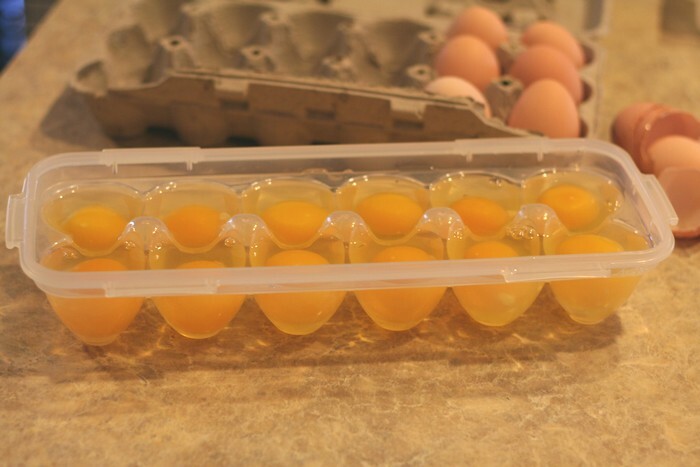 Years ago I oiled the eggs with jojoba oil and kept them in a clean carton – as cool as possible- and they kept for a long time ( can’t remember exactly how long ). Jojoba oil is quite expensive, though and I had just the idea of replacing it with coconut oil ( of which I have several jars ). Just prepared the dozen laid today , to keep with your advice on using only fresh eggs, and I’ll see how I go . May I add that I live in Victoria, Australia.. Thank you for your great blog! 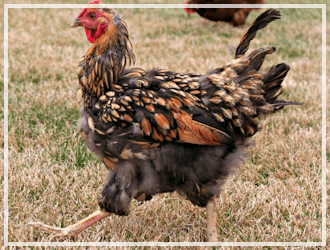 I am an older person who has raised chickens for over 50 years and had never heard of freezing eggs but will try it. Probably mostly because there was NO freezers in my early days. I have a good question, Which way to freeze them, Quick? or slower like a home freezer? 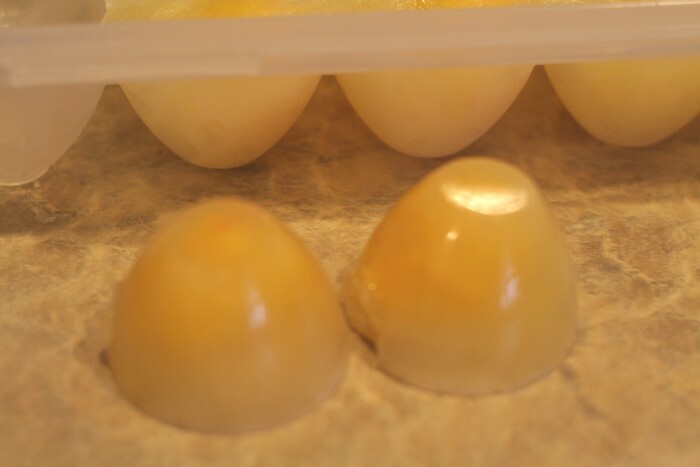 Seems to me that a quick frozen egg would keep it’s shape in the shell without cracking, and seems as if the slower way could lead to cracked eggs. Have you tried each way? or does your freezer do a quick job? It is my idea that Most home freezers are opened more often than commercial freezers and that may cause the eggs to crack. I live alone and do not open the “HOME” freezer daily so will try it both ways. Will let you know what I find out. I am so glad My Daughter read your page and sent it to me. 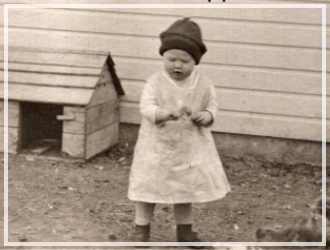 Tis nice to know even a city FARM GIRL has such good knowledge of farming chickens. I am an australian and our weather is extremly hot in summer, my question is if i freeze my eggs then defrost them would the heat while defrosting the eggs would it still be ok to defrost them on a bench befor baking with them or would the heat damage them somehow if i was unable to use them as soon as they defrost.Thank you for this helpful tip i had no idea that you could freeze them, that would also free up some room in my fridge with bulky cartons. Its best to thaw them and keep them cool – like in the refrigerator or running under the sink in cool water. If you are planning on cooking them that day you could defrost in microwave a bit but you may get some cooked bits. Better safe than sorry. 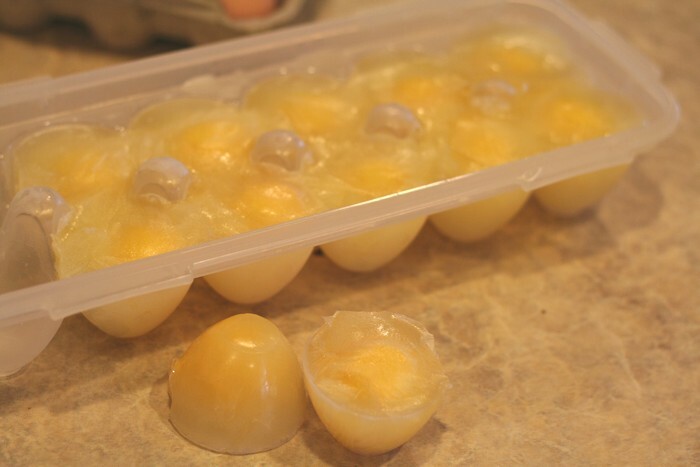 It addresses freezing whites and yolks separately, or all together but beaten, and says that yolks frozen by themselves can become extremely gelatinous over time. They never mention freezing the white and yolk together but unbeaten, so I’m concerned that might also result in a change in texture. 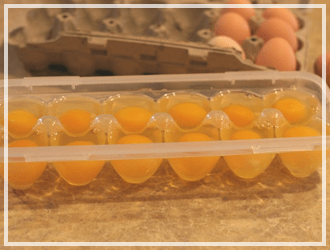 Have you noticed a gelatinous texture in the yolks after freezing whole and thawing? I haven’t noticed any change in texture, anyone else have this issue? Are there any instructions on thawing them? You can run cool water over the bag, or thaw the bag overnight in the fridge. Hi Karrie…..it’s me bugging you again about my above message of Jan. 25.
put it on the counter for awhile and then in the fridge still in the small container. someone had mentioned but she hasn’t answered so far. I’m sure Karrie can’t guarantee that there will or won’t be bacteria in it, but with a crack in it, you do run that risk. I would personally still use it and make sure it’s thoroughly cooked, but it’s probably worth the small amount of extra work to crack future eggs before freezing. Salmonella poisoning is a big fat bummer. Most Bacteria will not multiple under Frozen temperatures. 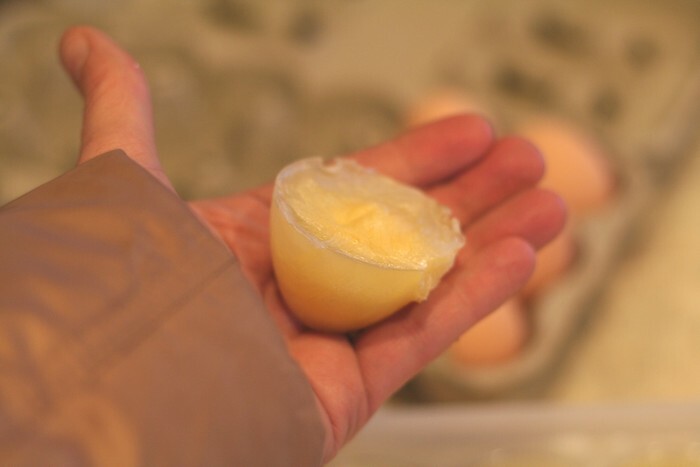 It’s unlikely they can contaminate the egg while it is Frozen in the freezer, but it can happen if you take it out and defrost it, or if say a power outage happens and it gets warm enough in the freezer for microbial activity to pick up again.